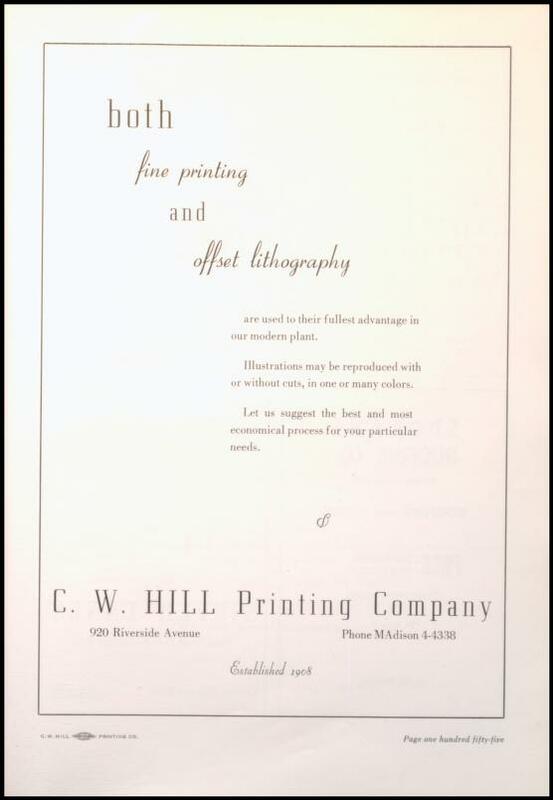 Both fine printing and offset lithography are used to their fullest advantage in our modern plant. Illustrations may be reproduced with or without cuts, in one or many colors. Let us suggest the best and most economical process for your particular needs. Phone MAdison 4-4338. Established 1908.